What is really going on here? The forms are applying some intelligence based on who you are or what company you work for. 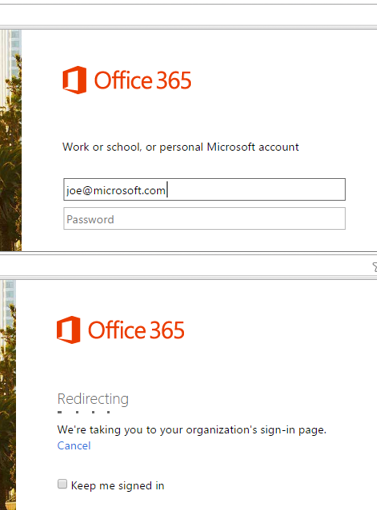 For example, if you work for a company that uses federated authentication for Office 365, you will be redirected back to your company’s IdP. How does Microsoft do that? They take a look at your email domain when you type it in – using a policy or rule to filter based on the first ‘step’ or ‘factor’ of authentication. If you have a NetScaler that is running 11.0 or later (11.1 is recommended due to some additional enhancements) you have the ability to use NetScaler’s nFactor Authentication framework to achieve the same kind of things that you see above. Do you want to prompt a user for a token code because they have higher permissions in the organization or have access to sensitive data without prompting everyone else? nFactor can do that. Do you want to use certificate based authentication and token-based 2 factor authentication and SAML all on the same vServer? nFactor can do that. Do you want your authentication form to be more responsive to users and help by providing better feedback and messaging in the form? nFactor can do that. Even the new native OTP capability in NetScaler 12 is built with nFactor technology. First and foremost: nFactor is built on web technology – similar to how SAML web forms work. That means that each ‘factor’ is meant to be displayed in a web browser or frame – things that don’t natively support this may not work. The most common scenario here is Citrix Receiver – it does not (currently) support this type of authentication, but that does not mean that you cannot use nFactor authentication on a gateway vServer – it is possible, see this link for details. Next, I hear many folks ask “how do I do xyz with nFactor”? Since nFactor is a framework, there are probably 47 different ways to do any one configuration, so I feel it is best to understand the nFactor framework and how to configure it, then figure out how to do xyz. Remember that both AAA vServers and Policy Labels are bind points for schemas, authentication policies, and pointers to the next factor. Several other scenarios are outlined in the eDocs here. The AAA vServer is where the initial nFactor configuration is done by binding an advanced authentication policy and a login schema – even if you are deploying nFactor for NetScaler Gateway, the configuration is held by a AAA vServer and applied via an authentication policy. Also, as this uses the full Authentication Engine, NetScaler Enterprise is the required license to use nFactor authentication. You need to determine the workflow for user authentication and the different scenarios you will be supporting. 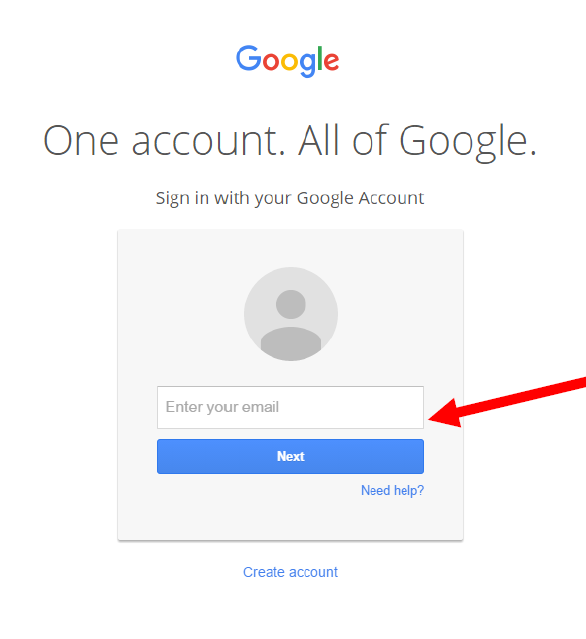 Then, determine the first thing that users are going to see when they are trying to login – for example, are you going to start with just a single field for username? Or maybe username and password, then prompt for a second factor? This first step will be applied to the vServer directly. First, we’re going to create 2 LDAP actions – you may already have these configured, but if not, they are fairly basic with one exception: create one that has the authentication checkbox unchecked. The purpose of this kind of policy is to see if the user even exists in our directory. Next, you also need to configure a SAML server – in this case, I am using OktaPreview. For instructions on setting up the SAML configuration on NetScaler to work with Okta, see this post. If users fail the initial user lookup (or are not in the specified group) they will be sent to Okta to login. At this point, you should have 2 ldap server definitions and 1 SAML definition. We will create 2 login schemas for this example: one that is a simple username only login, then one that contains a pre-populated username field and an empty password field. First we will create the username only schema – note: we will not need to set User Expression or Password Expression in these schemas. Note: Be sure to ‘select’ the schema layout when you are using the editor before saving. Think of a Policy Label as an authentication factor or an authentication container – the first of these containers being the AAA vServer. According to the workflow, the first thing we want to do is take the username and see if it exists in active directory using a non-auth LDAP server, all of which will be configured on the vServer directly. The next “factor” or container will be to check if the username that is returned is not null (without showing anything to the user). After that, if the user does exist, we will prompt for a password using the pre-filled username schema #2 created above. If the user does NOT exist, we will have the SAML server policy bound that will send the user to Okta for 3rd party authentication. Next, we will configure the AAA vServer – if you are integrating this with NetScaler Gateway, you will simply need to create an Authentication Profile and bind it to the Gateway vServer (if that is the case, the AAA vServer can be non-addressable). This may seem like a lot of configuration especially if you are used to the traditional configuration of authentication on the NetScaler: “Primary and Secondary”. But hopefully you can see that the nFactor authentication framework enables numerous workflows that were previously not possible. Great article on nFactor! I have a question for you and hope you can help! I am looking to implement a NetScaler Unified Gateway with 2-factor authentication with minimal cost. The client needs a software- and a hardware OTP token as the second factor OTP token. To minimize CAPEX and OPEX I would like to use nFactor authentication feature of the NetScaler in combination with a software OTP token (for example Google Authenticator) and a hardware token. What I wasn’t able to find in the documentation is whether hardware OTP tokens are supported with the nFactor authentication feature and if that is the case, which one’s are. Great article on nFactor! I have a question about it and hope you can help! To minimize CAPEX and OPEX I would like to use nFactor authentication feature of the NetScaler in combination with a software OTP token (for example Google Authenticator) and a hardware token. Hardware OTP token in specific use cases where use of a smartphone is not allowed. I believe there are 2 questions here – the first is if those HID ActiveID OTP tokens will work with nFactor. While I don’t have any experience with those specific tokens, if they support RADIUS (the most common method for the NetScaler communicating with other MFA appliances) or another protocol that the NetScaler supports, then they will absolutely work with nFactor. If you are also using the native NS OTP with say Google Authenticator, then you can us AD groups to determine which users should be using which MFA credential. As for if the HID tokens will work with OTP, it may be possible if they support RFC6238 and you are able to see the key of each token.